Welcome to another adventure within the multiverse! This adventure is a bit of a heavier one. We're joined by Laurie Burdick, a gentle soul we had the chance to meet through the magic of Twitter. 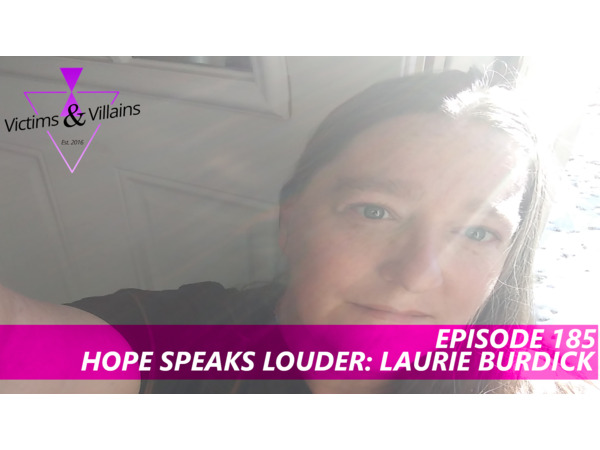 Laurie is a mother of two and a surviving abuse victim who turned to suicide at an early age - only to put the gun down. This is an episode, we can not recommend enough. Laurie's story proves that hope is real. This is the absolute sole reason we publish the content we do is that you guys can know that hope is real. If you or someone you know is struggling with suicide, addiction, self-harm or depression - please free feel to reach out. Use any our resources, call the suicide lifeline (1-800-273-8255) or text 741-741. Music by Logan McElroy and Shawn Davis. The X-Files are property of Fox. We do not own nor claim any rights. The Flash & Man of Steel are property of Warner Brothers & DC Comics. We do not own nor claim any rights. Networked by That's Entertainment!